India. 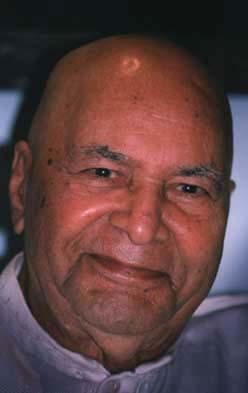 Sri H. W. L. Poonja. (1913-1997 AD). Liberated by Ramana Maharshi. "From the very outset not a thing is. From the beginning your nature is pure." "Self is what you are, You are That fathomlessness in which experience and concepts appear. Self is the Moment which has no coming or going. It is the Heart, Atman, Emptiness. It shines to Itself, by Itself, in Itself. Self is what gives breath to life, you need not search for It, It is Here. You are That through which you would search. You are what you are looking for! And That is all it is. Only Self is. By "Here" I don't mean this present space. Here is somewhere within where the mind cannot reach. Presence is always here and you are always That. This here is not the opposite of "there." This here is nowhere, it is your Heart. When mind is still all comes back to the Heart.